This UT design stitched out so beautifully... these pictures do not do it justice at all! 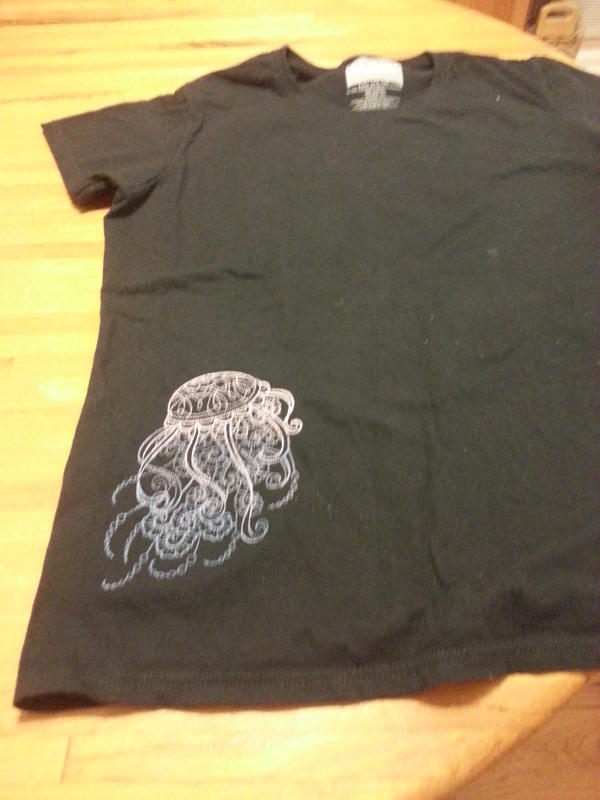 You can't tell but the jellyfish is done in three shades of purple, light on the top and darker as you go down. The design was done to overlap the colors so that you can't easily see where one stops and the next begins. Bien que les différents tons ne se distinguent pas, l'effet est parfait. Looks good.... I like the placement. 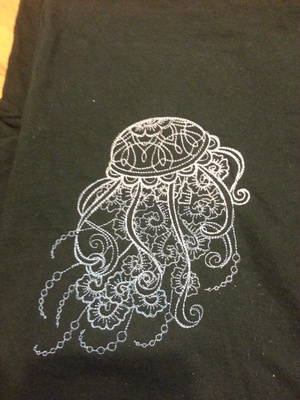 I meant jelly fish, good grief! I think I might need some air! Nicely done for a t shirt! I love the design stitched out. The placement is great. Looks great. I love all things beachy! It looks lovely. Welcome to Cute. Looks so graceful and floating. Nice location for that design. Gorgeous - as the other cuties say too!!! I love the contrasting colours. 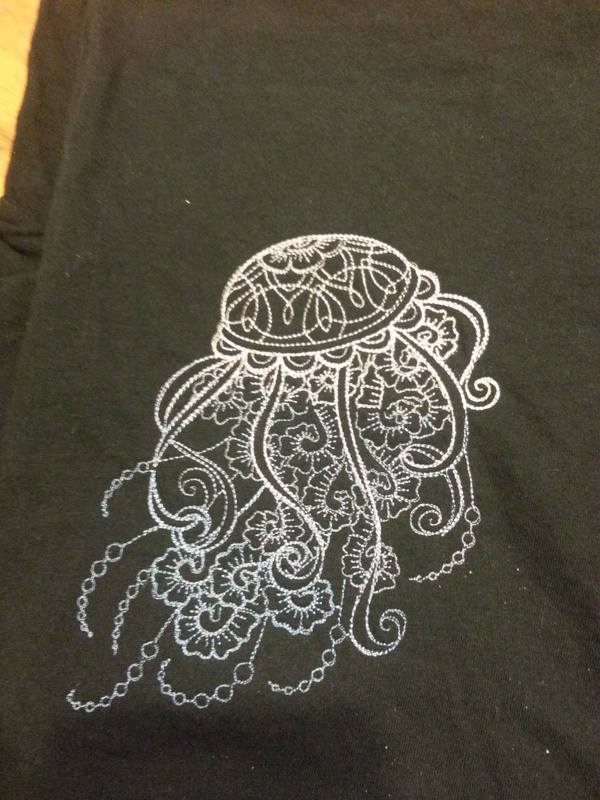 I think it would do very nicely in metallic thread. It's a light stitch design, only takes 15 minutes to stitch out.